Australian Catholic Bishops Conference president Archbishop Denis Hart said Bishop-Elect Mascord brings a wealth of experience in parish ministry, education, chaplaincy and governance. “Fr Mascord has been a fine, hard-working parish priest for many years and will be a worthy Bishop of Wollongong. I congratulate him on his appointment on behalf of the Australian bishops,” Archbishop Hart said. Bishop-Elect Mascord said priests who have spent time with Bishop Ingham have often sought to emulate his approach. “I look up to Bishop Ingham as a pastoral priest and a pastoral bishop, and the example he gives in his ministry and life as priest and bishop is something I’ve admired,” he said. Bishop-Elect Mascord said he will come to a Church with which he is familiar, with the Wollongong Diocese taking in cities, towns and country areas, as Maitland-Newcastle does. “I look forward to encountering people who have that ‘down-to-earthness’ that comes with the diversity of the people who live in coastal, city and rural areas,” he said. Bishop-Elect Mascord was born and raised in Newcastle. After being educated in Catholic schools, he gained a diploma of teaching at the Catholic College of Education in Castle Hill, spending six years teaching in a Catholic primary school. 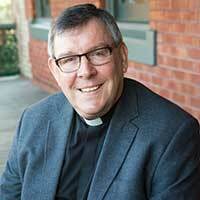 He later continued his studies at St Patrick’s College in Manly and was ordained for the Diocese of Maitland-Newcastle in 1992, where he has spent his entire priestly ministry. In addition to parish appointments across many parts of the Diocese, Bishop-Elect Mascord has served as vocations director since 2007 and has been Vicar General since 2012. He has been a long-standing member of the Council of Priests and is currently a member of the diocesan Clergy Life and Ministry Team and the National Council for Clergy Life and Ministry. In announcing Bishop-Elect Mascord’s appointment, Pope Francis also accepted Bishop Ingham’s resignation. Bishop Ingham will serve as Apostolic Administrator of the Diocese of Wollongong until Bishop-Elect Mascord’s Episcopal Ordination. A date for the Ordination has not yet been confirmed.